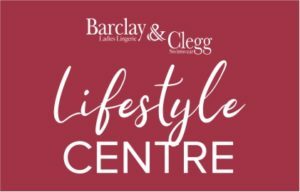 Barclay & Clegg has the largest range of bras in cup sizes up to G. Larger cup sizes can be ordered. Sits across the breast for desired shape, offers medium breast coverage. Provides maximum support & lift, comfortable & recommended for everyday wear. Ideal for lower cut garments, a full collection of the latest Wonderbra styles. Enhances the natural breast shape, offers a smooth finish. Ideal under thinly strapped or strapless garments, offers medium support. Offers minimum breast coverage, ideal for plunging necklines. Ideal under thinly strapped or strapless garments, offers medium support. Smooth bra, ideal to wear under T-shirts or smooth & tight fitting clothing. Gives the appearance of a reduced cup size. Ideal for the fuller busted woman. Sport bras provide comfort and are essential for support during high impact sports. Expert fittings by trained professionals, variety of swimwear & lingerie to make you feel confident. Variety of styles for expecting & nursing mothers, comfort with utmost support. Wide range of larger bra sizes available, enable maximum breast support & lift. Comfortable & reliable underwear accessories, suitable for special occasion outfits.